When I went into Purvis the other week the guy took me out the back and told me that I needed to get this beer, it wasn't even on sale yet. 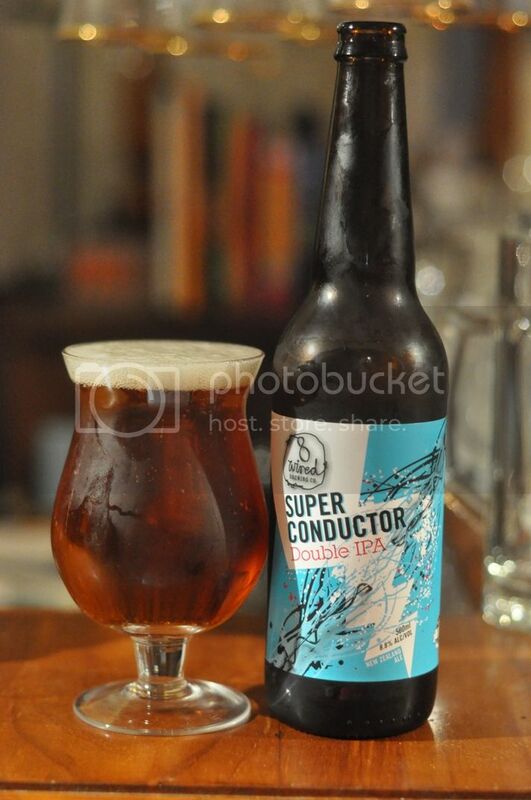 It's something I'm so interested to try, an IPA brewed with lager yeast; effectively! The concept, in my mind anyway, is brilliant! My favourite style of beer is being crossed with the world's most popular by one of the best breweries in the world! I have absolutely no idea what to expect! In Belgian beers the yeast is a huge component and considerably affects the flavour; how will lager yeast change an IPA? I can't wait to find out! I've decided I'm going to review this beer in comparison with other IPA's, an area I would consider I'm an expert in. The pour is excellent. A nice three finger cream coloured head tops a slightly cloudy orange liquid. There appears to be reasonable carbonation as the head retention is superb, this head also leaves lovely lacing behind on the glass. It's a close to perfect looking IPA! On to the nose and I again it is very similar to an IPA. There's lots of the standard strong citrus hop aroma's that you would expect to find in an IPA as well as the piney hop aroma that is very strongly associated with American West Coast brewing. The only hint of a lager I can find is a lightly grassy hop smell up front but it is very quickly swamped by the stronger hop aromas. Very fleetingly I thought this was going to be an amazing beer. Quickly though reality dawned and the initially promising lager flavour was over run by something that can only be described as a slightly scaled down IPA. There was all the hop flavours that you would expect in an IPA; most noticeably pine and grapefruit, but they seemed to just be that little less intense than an IPA rather than being a new take on a pilsner. Overall, I was slightly disappointed. 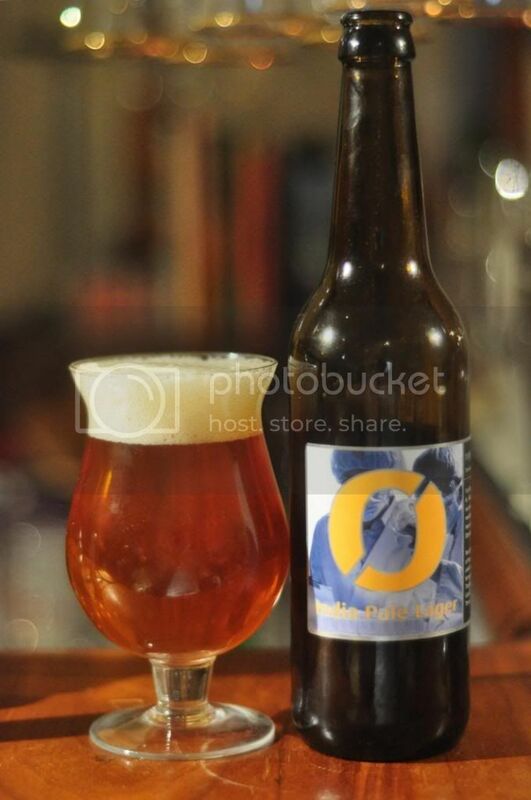 I really thought if anyone could do this it would be Nøgne Ø. I'm not saying by any means that this is a bad beer, it's just not quite what I was expecting. It's like a slightly muted IPA, which only pays passing lip service to it's "lager" name. If someone gave me one I would happily drink it again, I'm just not sure I'd splash out Nøgne Ø prices for it.